Light, naked, and easy on the wallet: Honda gives us everything we like. Honda has revealed a new single cylinder naked bike for 2015 coming in at four grand. It isn't bad looking either. But can Honda deliver their trademark quality standards at such a low price? If so, it could make for a fantastic commuter. - Engine displaces 286cc for responsive power throughout the rev range. 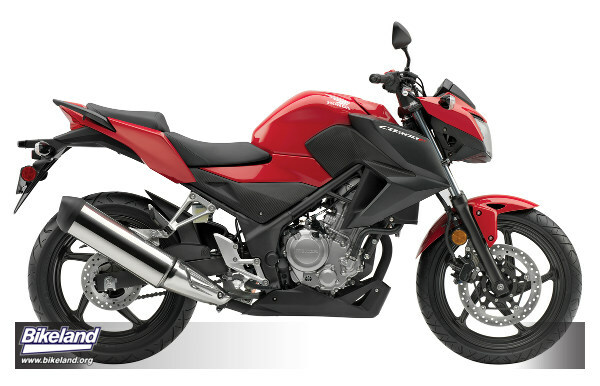 - Derived from the CBR250R engine, a new crankshaft and connecting rod create a longer engine stroke (up to 63mm from 55mm) to add 37cc of displacement. - PGM-FI fuel injection produces crisp throttle response throughout the rev range. - Stylish CBR500R-inspired exhaust system features larger internal volume for increased performance, enhanced appearance and a throaty exhaust note. - Specially configured seat and side covers provide an easy reach to the ground. - Full LCD multi-function digital meter. † WARRANTY: Because we're so confident in the quality of each of our Honda Genuine Accessories, we're pleased to offer one of the best warranties in the industry. One-year warranty begins on the day accessories are purchased by the customer. Models sold in California meet current CARB standardsand may differ slightly due to emissions equipment.